This is a question I come across quite often from small business owners who regularly spend time building and engaging with their audience on Social Media. They are under the assumption that having lot’s of fans/followers on social networks will bring new customers to their businesses without the need to spend money creating and maintaining a website. Over the last few years, there has been a rise in a new breed of marketing “expert” – The Social Media Guru. These are the ones who promise you that if you are consistent on social media, you will get customers and sales without the need to invest in a website, all your leads can be gathered and engaged with on the network leading to untold sales and riches. I think one of the biggest ironies with these so called experts is that they tell you this through many channels which all lead back to their own websites! I have yet to come across one who solely uses social media itself to create a consistent sales funnel. Sure you may get leads from social media, and they may buy your product/service every now and again, but you are missing out on so many more sales by only doing your marketing within social media networks. I have said before, and will continue to say, that “Social networking is a great way to get leads to your website so you can then turn them into customers“. Let’s have a quick look at why this is so. Social Media is turning into a pay to play system. 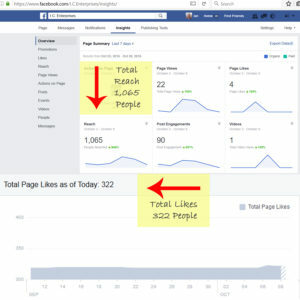 Facebook recently admitted that the amount of people who see your content will steadily reduce unless you are prepared to pay to promote your posts. It is now possible that only 14% or less of your fans will get your post on their timeline without paid promotion. Twitter are also introducing a pay to play system to help your messages get seen amongst the huge amount of items on the average users newsfeed. You don’t own the social networks. At any given time, with a change to the terms and conditions on a social network you can literally lose all the hard work and money you have invested in your marketing. People have had pages and profiles shut down without warning by Facebook and with no comeback they have lost all their contacts and leads overnight. People want to know more about you. People who are looking for the products or services you offer want to see a little more about you before they buy your offerings. They want to know that you are a trusted business that is operating professionally, which just having social media profiles doesn’t do. Having a website with information about your business and how to contact you if there are any further questions or issues is regarded highly by most consumers and amounts to more leads and sales in the long term. The bottom line is that from a marketing perspective Social Media is a great tool for connecting and engaging with your audience, but a website is where the real conversion from a lead into a customer happens. If you are only using social networks to try and promote your business you are missing the most vital step in your marketing strategy, your own website. I.C. Enterprises not only creates websites, but can also guide you through branding your business online easier and more effectively. Contact us today to find out how we can help you. Thanks for sharing Ian. I appreciate what you’ve shared. Even if I’m prepared to pay to play having my own site sure seems to add authority. What are your thoughts on using a blog as one’s own site. 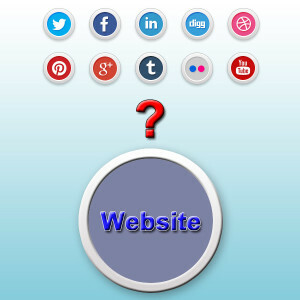 A blog for your website is what I recommend Rivqa. If you use the right platform, you can have regular web pages that don’t change and a blog system that helps get people to your site. Regarding the “even if I am prepared to pay to play” part, the ideal way to do this is to send people from your paid promotions directly to your website and ask them to sign up for a mailing list. This means you have direct contact rather than the “Hit and Miss” senario that Social Media provides presently.